As a team we put a lot of thought and energy into choosing the farms and farmers we work with during the season. We have begun compiling comprehensive farmer profiles (listed below) that highlight the practices and history of the farmers with whom we work. We are often asked why we work only with small farms. Wouldn't working with large farms make it possible to get more produce each week? In short, the answer is sustainability. It is integral to BMSP that the produce in your shares is locally and sustainably grown. We also value our partnerships with specific farms; we only work with farmers that we know, farms that we have visited, and farms that benefit from partnering with us as much as we benefit from partnering with them. Larger farms are sometimes able to charge less per item, true, but that is because they use less sustainable growing methods to keep up with the size of their fields, and they are able to distribute their produce more widely than smaller farms can. As a multi-farm CSA, we are lucky to work with a variety of farmers who bring us delicious produce each week. The farmers listed below are the ones we order from almost every week. We also sometimes order from other farms not listed here, either directly or through the Farm Fresh RI Market Mobile program. Allen Farms, founded by Debbie Barrett in 1987, is a family-run certified organic farm located 25 miles southeast of Providence. The farm consists of outdoor fields and six greenhouses, which allow them to grow herbs and greens, year-round. Debbie's pea greens have a long-standing reputation for their quality and flavor, which have earned the greens a place in numerous local hotels and gourmet restaurants. Debbie and her two children, Emily and Tom, exude joy when talking about their farm and love working with local chefs and customers to create new, healthy recipes, sauces, jams, cocktails, and more. Barden Family Orchard, was founded by John Barden and Hazel Dean in 1931. The farm is now operated by their grandson Gilbert who has since expanded their range of produce. However, their dedication to growing finest quality and best tasting fruits and vegetables has remained unchanged. John Kenny's 3-acre farm is certified organic and grows entirely pesticide-free vegetables. It is located at Urban Edge Farm, a piece of land owned by the Southside Community Land Trust, an organization in Providence that helps new and immigrant farmers start their operations and establish some roots. Chuck Currie runs Freedom Food Farm along with a crew of local community members who share an interest in growing sustainable food. Chuck strives to model natural ecological cycles and thus uses organic and bio dynamic principles. Freedom Food engages the community and aims to ensure that everyone has access to nutritious food though a sliding scale CSA model and many food donations. Alan Hill has managed the farm since young adulthood, and has seen it through many periods of growth and transition. The 50-acre farm produces many varieties of apples, peaches, and plums, which we enjoy as part of our program year-round. Hill practices integrated pest management (IPM), which involves the occasional judicious use of pesticides in an environmentally-sustainable and conscious method. Hill also has a pick-your-own operation that draws Rhode Islanders from across the state each fall. After working for Ward’s Berry Farm since the age of 14, Kevin O’Dwyer started Langwater Farm in 2010 alongside his wife, Kate, and sister, Rory. They grow a variety of Certified Organic vegetables, fruits, flowers, herbs, and berries. Langwater Farm sits on 80 acres of historic farmland dating back to the early 1800’s. Today, half of the farm’s land is wooded and half tilled for crops. In 2014, they expanded to lease an additional 26 acres land fromWheaton Farm in the town of Easton. Southside Community Land Trust was founded in 1981 when Brown University graduates partnered with refugees arriving to the south side of Providence. The program was born with and continues to operate on the mission of providing affordable fresh and nutritious food to everyone in the state, regardless of income. SCLT now manages over 32 acres of land and 53 community gardens in the state of Rhode Island. It is tradition that Market Shares partners with SCLT every week during the summer season, when their harvest is most abundant. Skip Paul and Liz Peckham run Wishing Stone Farm and have been farming in Rhode Island for over 30 years. Wishing Stone is Rhode Island’s largest state certified organic farm, at approximately 35 acres of fields and 30,000 sq. ft. of greenhouse space. Market Shares has received cucumbers, potatoes, carrots, green beans, tomatoes, and many other delicious vegetables from Wishing Stone Farm. Pat McNiff founded Pat’s Pastured in 2002 and provides Market Shares with the highest quality pasture-raised and grass-fed meats and eggs. 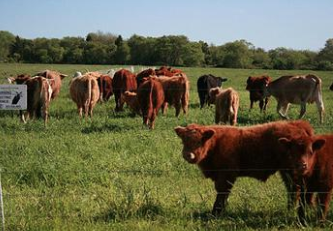 Pat’s Pastured operates on principles that have the best interest of the land and animals. Not only providing high quality produce to the community, Pat’s Pastured aims to share skills and resources through education programs and community events and operate a business with transparency and openness. Narragansett Creamery, Rhode Island’s only cheese maker, is committed not only to making excellent dairy products, but also to environmental sustainability. As food producers, they believe they are responsible for educating their consumers about the connections between the land, agriculture/livestock, nutrition, and the local economy. They rely on fresh milk and patience to make their various and flavorful cheeses. You can find their cheeses at supermarkets, farmers markets, small Mom & Pop shops, and in CSAs and restaurants in Rhode Island and Massachusetts. Market Shares cheese shareholders get to choose from a variety of their cheeses every week. Rhody Fresh began in 2004, under the Rhode Island Dairy Farms Cooperative, when a group of Rhode Island dairy farmers decided to band together to create a locally produced, home-grown brand of milk. The dairy farms involved in the operation range from small to mid-sized. The smallest farm in the cooperative, EMMA Acres, ranges across 12 acres and has 28 milking cows from a total herd of 60. Larger farms, such as Elmrock Farm, own hundreds of acres of land and about 120 cattle, although only about half are typically milked. Rhody Fresh adds more money to a farmers milk check – farmers receive and an extra $1-2 per hundred pounds of milk through Rhody Fresh. All the farmers involved in the cooperative have made a commitment against using bovine growth hormone (rBGH). They also abstain from adding Vitamin A, and traces of antibiotics are never detectable in their milk. Market Shares milk shareholders get to choose one type of milk to receive every week of the season. Sweet & Salty yogurt is made from grass-fed Jersey cows who do the hard work producing this naturally sweet whole milk yogurt with a golden cream top. It's simple: just the milk and the live, probiotic cultures – no added sugar, flavors or stabilizers, no skimming off the best parts. In the summer, the yogurt looks golden from the beta carotene found in grass, and in the winter you’ll find a lighter white color as the cows are eating organic hay. Since its founding in 2001, Seven Stars Bakery has become a fixture in Rhode Island’s local food culture. The Seven Stars team bake their yummy breads and pastries fresh, daily at their facility in Pawtucket’s Hope Artiste Village. They make everything from scratch without mixes, additives, or preservatives. Owners Lynn and Jim are committed to providing the best, using only real eggs, real butter, unbleached flours, and some organic whole grains. They also support local vendors and artisan producers such as New Harvest Coffee Roasters in Pawtucket and Delucia’s Berry Farm in Little Compton. You can find their goods at their Hope St. and Broadway locations, at farmer’s markets and supermarkets across the state, and in your Market Share! Bread shareholders get to choose from a selection of fresh loaves every week. Rhode Island Mushroom Company was founded in 2013 West Kingston, Rhode Island. The farm’s facilities maintain ideal mushroom growing conditions, with humidity over 95% and constant, cool temperatures. Since their conception the demand for exotic and speciality mushrooms has increased. They now offer a wide selection of mushroom varieties.